The Guide, written by Avv. Carlo Diego D’Andrea, is a practical manual for Italians who want to invest in China, illustrating the regulations and procedures for the management of human resources in the Chinese labor market. 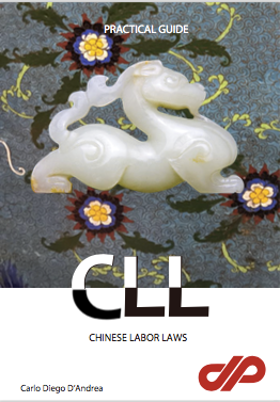 A basic tool to understand labor law in China and how to handle daily evaluation on legal compliance with labor law. The Guide is available in English, Italian and Russian versions, printed and e-book formats.